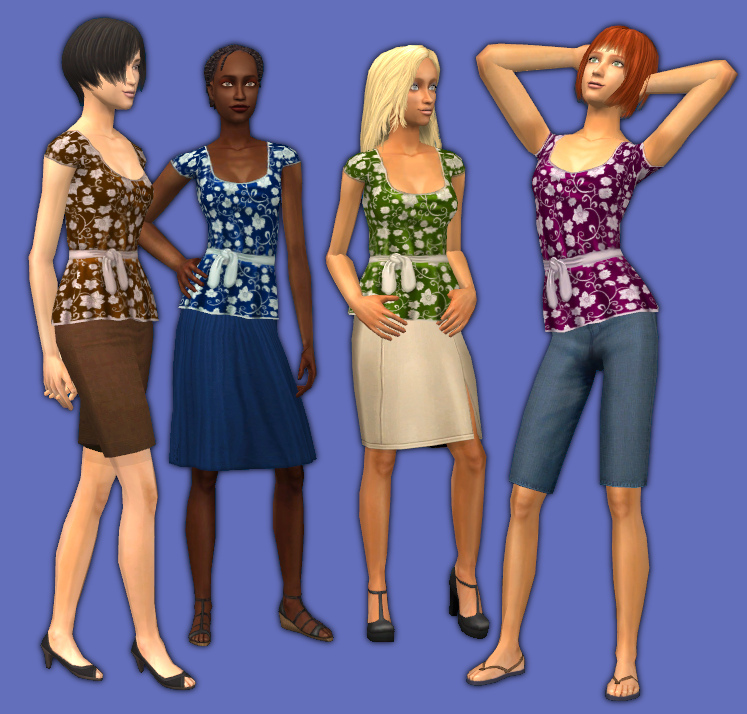 UPDATE 5/10/2015 The solid color belted shirts could not be recolored because their bump maps were the wrong format. This has been fixed now! Please redownload. These shirts were made from the Uni flow tank outfit, top separated. Jacci made something similar and Trapping recolored it. 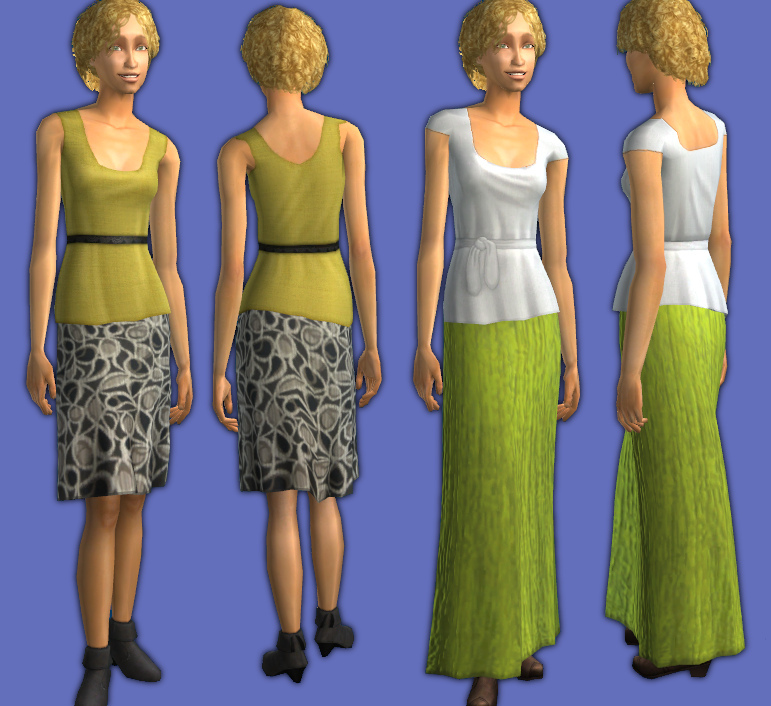 My mesh is slightly different at the hem. 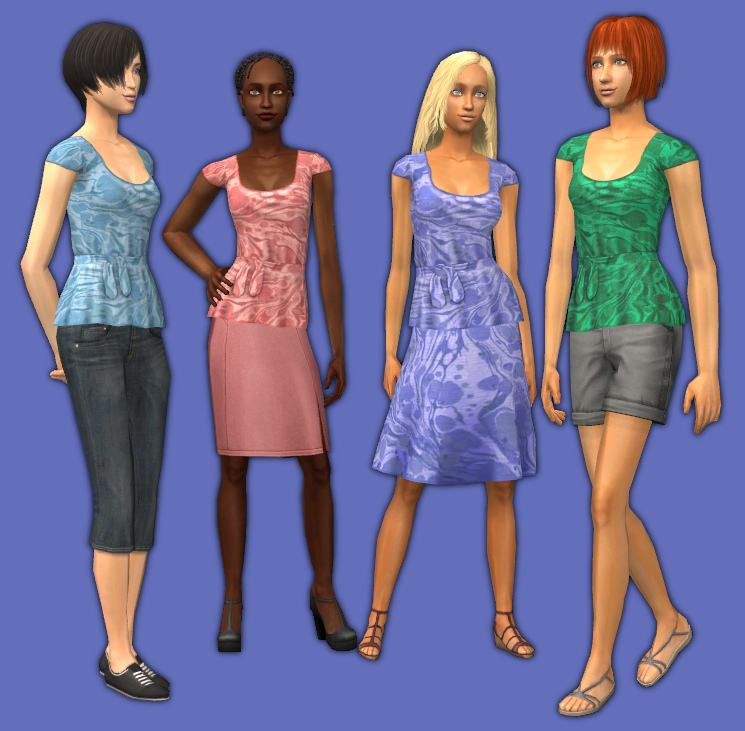 I made new textures for it and also used needlecream and Artemida's textures from whole body outfits, with permission. 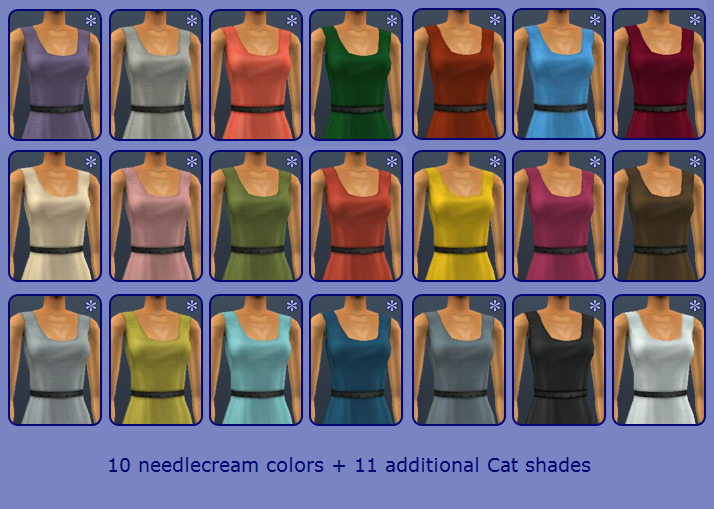 (Tell me if you know of other textures that would fit this mesh!) There is a curvy morph but no pregnancy morph since the belt doesn't really suit pregnant tummies. Here's a back view of the shirts and tanktops. Thanks to textile and fabric texture creators for free textures and photos. Thanks to the makers of SimPE, MilkShape, LithUnwrap, and GIMP. I used various MilkShape plugins by Wes Howe, demon, and me.